Kiniras is also listed as a Traditonal House by the Cyprus Tourist Organisation. Kiniras Tavern has been thoroughly inspected and found to comply with the specific regulations and quality standards required to be awarded the Vakhis Award, from the Promotion of Authentic Traditional Cypriot Cuisine CTO Project. 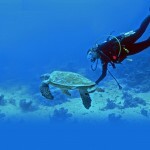 Food is one of our basic tourist products and forms an integral part of the tourist experience. The term “food” covers the whole gastronomic experience, that is meals, beverages, restaurant atmosphere and entertainment. Cypriot cuisine and gastronomic heritage are key elements of our long history and ancient civilisation and we all have the responsibility to maintain and pass this heritage on to future generations. 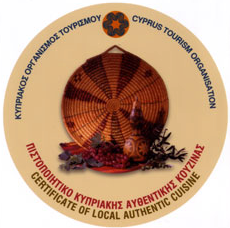 The Cyprus Tourist Organisation, within the framework of the Strategic Tourism Plan, and in co-operation with the Higher Hotel Institute, has compiled a project called Vakhis, which aims at the adoption, use and promotion of authentic Cypriot traditional cuisine by local taverns which operate either independently or within traditional hotel enterprises. The project has been named after a famous Cypriot chef called Vakhis, who lived in the ancient city of Kition around 300AD. 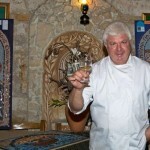 The programme is purely voluntary and is supported by Eurotoques International and the Association of Cypriot Chefs. 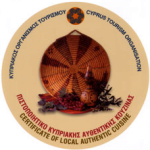 The project provides the opportunity to all entrepreneurs who serve local cuisine and meet the strict standards of the programme to obtain a CTO quality certificate for authentic cuisine, while there is a respective obligation by the Cyprus Tourist Organisation to promote these establishments.